Brand new Flying Pigeon spoke cards arrived today – and they look very, very, nice. These were made by Carly Veronica – she also did our fabulous business cards. 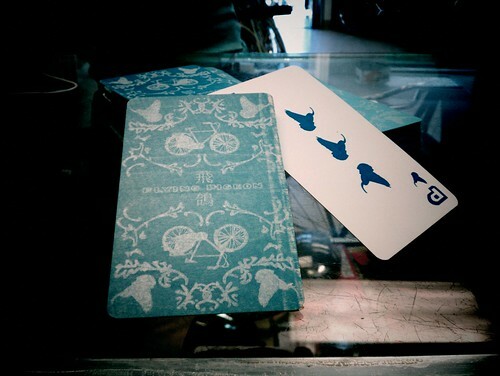 These spoke cards were letter-pressed in Carly’s Highland Park studio with a soy-based ink. Hand cut, measuring 5 3/4″ x 3 1/2″ (141mm x 88mm).